She put me in touch with her husband, who we will call Josh, by email. He informed me that he planned to invite “a few friends” over after our Lesson, to try out his food from the new Grill. No Pressure. We agreed that he would get most of the meats in advance, so we could do an abbreviated shopping trip before getting started. We did Recipes for Grilled Vegetables, Shrimp, Steak and Chicken Breasts. 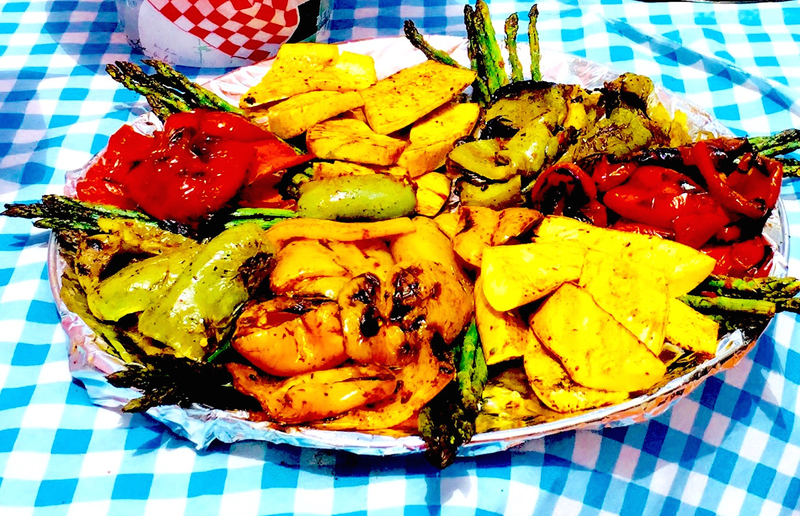 In this next part, here is the Grilled Veggies Recipe. Chef Mick Brown at Corporate Catering Summer 2015. Remember to keep Veggies larger for Grilling. 4. Grill Veggies on Medium, or Low Part of Grill, may also use upper Warming Rack. 5. Cook evenly for 5-10 Minutes per side, until tender. Carrots and Pepper may take longer. 6. For serving, cut bigger Veggies into 2-3” inch portions. Enjoy. Also look for Recipes for Shrimp, Steak and Chicken Breasts from this Session.